Research shows that those individuals who are clear about their own personal values are not only happier and more fulfilled but are also up to 17% more engaged at work than people who do not have that clarity 1 . 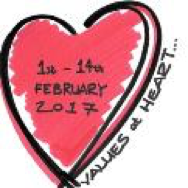 For the first two weeks of February 2017, you can take a special ‘Values at Heart’ profile, courtesy of www.magmaeffect.com and use my31Practices to release the power of these values every day. You can sign up yourself or with friends… or, if you are an employer, encourage your employees to take part to show your organisation cares about what matters to them. One of the world’s leading online tools, the AVI, is the powerhouse behind the special ‘Values at Heart’ profile that will be available to all the people that log in using the special Valentine’s code V@H2017 From Wednesday 1st to Tuesday 14th February the Values at Heart profile, which would normally cost £25, is completely free. Register now. Research shows that people who are consciously connected with their priority values are more resilient under stress and have an increased sense of meaning in their lives. The AVI approach is a great way to strip out the background noise and be able to listen to your heart. What is your heart saying? The AVI- http://www.minessence.net/AValuesInventory/About.aspx#.VqJ7AX0nmP8 – which stands for A Values Inventory – contains 128 distinct human values and is mainly used in the UK, Australia, New Zealand, Canada and America. 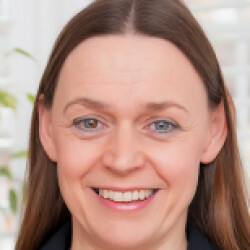 Jackie LeFèvre, author of “Braver Than You Think”, is the UK’s leading authority on the use of the AVI with individuals, groups and organisations. Values are energy laden ideas that represent how each of us would like to live our lives. The challenge for us as individuals is that those ideas sit in our unconscious and can be hard to crystallise and express. The AVI enables that expression. Values are neutral. The values that any person holds dear are neither good nor bad. Values motivate us to take certain actions under certain conditions – they provide the “why” behind the “what” that we do. Conscious connection with values is strengthened through regular practice–and daily practice is best – this then enables us to live a life of our choosing. In 2016, Values at Heart reached 120 people across 16 countries as far flung as Egypt, Phillipines, Haiti and Thailand. Participants in last year’s promotion included teachers, coaches, human resources professionals, management consultants, people from mining, communications, logistics, social services and even an Ayurvedic Physician. How many countries will we reach in 2017? 2017 is the sixth year for Values at Heart. For a press preview of the AVI and/or my31Practices please contact Jackie or Alan direct and they will be delighted to help. 1 Research published by Kouzes and Posner into impact of values clarity on commitment to work and the organisation above the norm. Clarity about own personal values delivers up to 17% commitment above the norm – clarity about own values and organisational values delivers up to 19%. Interestingly they found that when people only have clarity about the organisations values this can have slight negative impact taking commitment 0.5% below the norm.